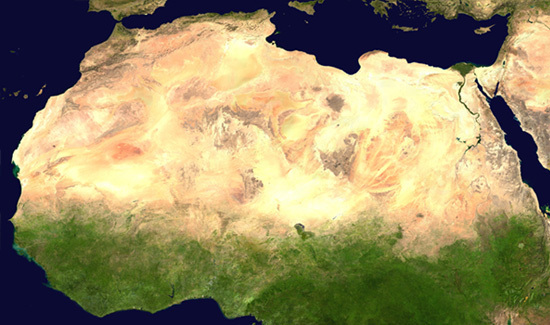 Pruned: What if Africa was Europe's power plant? Last week, The Guardian reported that Europe is looking to Africa to serve part of its energy needs by basically turning the continent into one giant solar power plant. Billions of watts of power could be generated this way, enough to provide Europe with a sixth of its electricity needs and to allow it to make significant cuts in its carbon emissions. At the same time, the stations would be used as desalination plants to provide desert countries with desperately needed supplies of fresh water. Of course, one is compelled to wonder here what would happen if Africa provided Europe with all of its electricity? Most likely that won't happen; no European country would want to subject their whole energy security to regional volatility. However, one could imagine a fairly optimistic scenario wherein this energy cooperation would provide a stabilizing force to unstable states, help cure both continents' post-colonial hangover, counteract China's growing geopolitical influence in the region — and all the while reducing carbon emissions to zero. But, as always, what we are immediately most interested in is this: in what ways would this energy pact be physically manifested in Africa? As but one illustration of how energy consumption is spatialized, there is the so-called mountaintop mining, whereby whole mountains are leveled off, literally grounded down, to get at coal deposits instead of using tunnels. The erased geology would then be dumped nearby, chocking streams and old growth forests. Where once there were jagged forested ridgelines, now there is only a series of plateaus, staggered grey shelves where grass struggles to grow in crushed rock and shale. 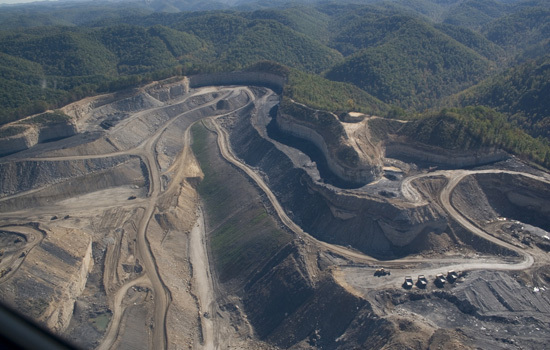 When visitors to eastern Kentucky first see the effects of this kind of mining, they often say the landscape looks like the Southwest - a harsh tableland interrupted by steep mesas. In other words, heating up your ex-urbian McMansion is right now turning Appalachia into Arizona and New Mexico. One can easily picture Julie Bargmann and her D.I.R.T. Studio, like ambulance chasers circling a scene of devastation, salivating over photos of negative mountains, scheming away at plans to reclaim them from destruction, waiting for that commission. Unless, of course, Alan Berger and his Project for Reclamation Excellence (P-REX) don't beat them to the job. But returning back to our question: what will Google Earth tourists see when they point their vigilant eyes towards an electrified North Africa? Will they come upon vast plantations of coronal fields, perfect geometries arrayed in similarly perfect arrangement, irrespective of terrain but nevertheless finely attuned to the sky? Pure form, pure function coexisting without contradiction. And what about the people on the ground? Where once was desert, might they now enjoy newly sprouted oases fed with water from solar-powered desalination plants? An Emerald Necklace of Olmstedian design inscribed in the Saharan landscape. Will foreigners descend en mass to undertake a Bowlesian journey, trekking from one incomprehensible terrain to another equally unfathomable recess of the desert, utterly unprepared for the otherness of it all but obviously so seduced that they travel on, even while in the grips of dysentery, losing themselves psychologically and literally to the sands? All bearings and comfort are lost. And then just as things couldn't get any stranger, they will come upon a stand of solar updraft towers; there are hundreds of them, possibly thousands, forming a kind of arid rainforest mechanically evapotranspirating. But in their parched and hallucinatory conditions these adventurers will mistake them for Persian tower tombs, divining the surrounding air into a vortex, the whirring blades resonating ghostly howls. Am I the only one who was thinking "Masterblaster runs Europetown"
better yet, what if Africa was Africa's power plant? the connection between life, landscape and sun in Africa is ancient - so harvesting its power is not such a crazy daisy piece of conceptual colonialism. 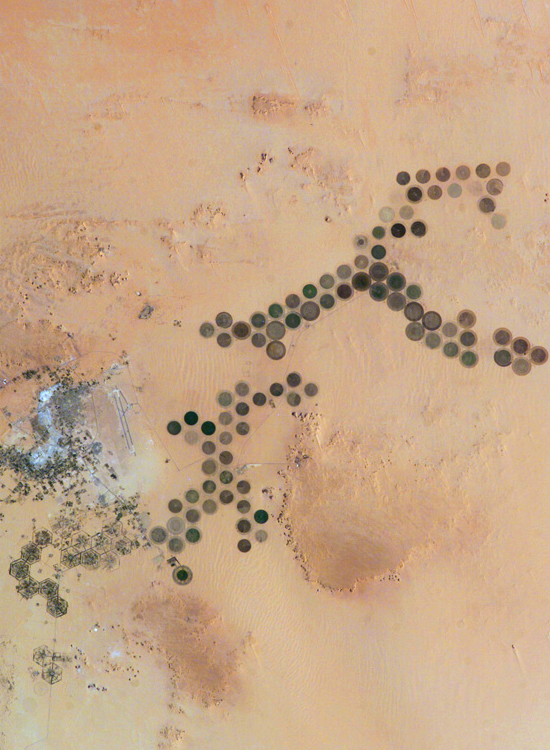 there are many sites made up of standing stones in the Sahara that were created by nomads to measure time by the sun. the heritage alternative to the gorgeous vision of Philippe Starck updraft panels/resting pizza cutters you show. As a college student in one of these cities: http://forum.skyscraperpage.com/showthread.php?p=3225220, I feel it is my duty to help publicize this list. If everyone in the country went and got their Carbon Footprint score from www.earthlab.com and then took just one pledge I think we could stop global warming. Not only is it fun to see where you land compared to these cites, but you can compare to your state, US etc…This tool is vital to the international fight against global warming. Do large solar collectors need to be flat desolate areas? Take a lesson from Nature. Look at the design of plants: One or more vertical stalks with many small solar collectors (leaves)at various heights. A "forest" of such "trees" might even provide habitat for "birds" and "squirrels". 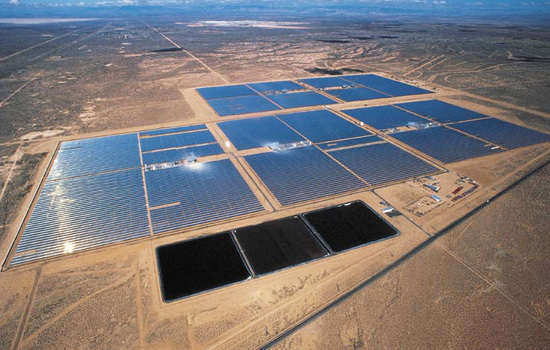 "Do large solar collectors need to be flat desolate areas? "Take a lesson from Nature. Look at the design of plants: One or more vertical stalks with many small solar collectors (leaves)at various heights." See in the archives: Plantoid. 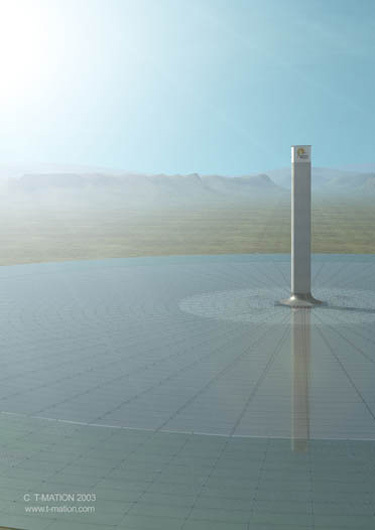 ...but it would first require a DC supergrid to bring in the power without the transmission losses of our AC grid... not to mention the capacity to store the power... North African solar power stored in Norwegian hydro-electric fjords?